Pico Union Project helps individuals gaze in to face out. Fall is a season of change and the holidays push people to take stock of where they did good and where they fell short in order to commit to change. 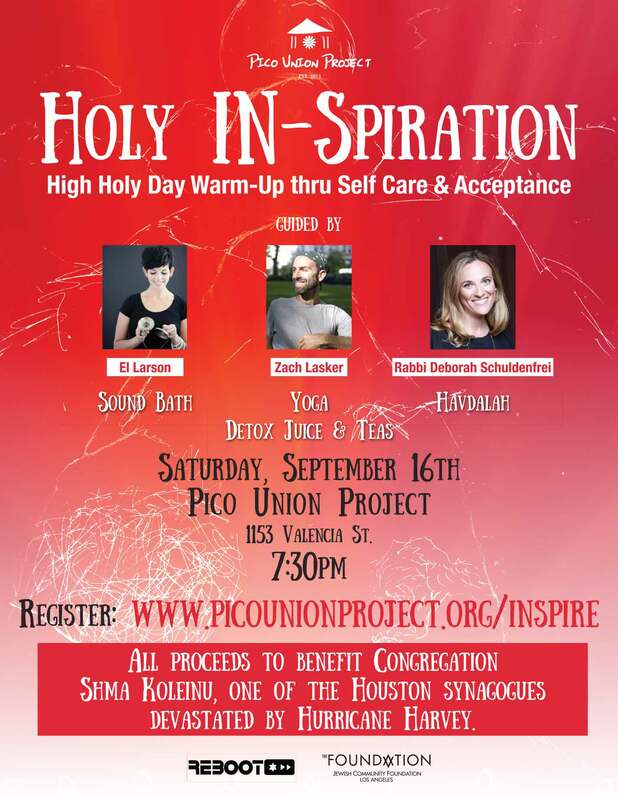 Pico Union Project will open its doors on Saturday evening, September 16th to kick off the fall season and prepare for the Jewish High Holy Days through a unique program called Holy IN-Spiration. 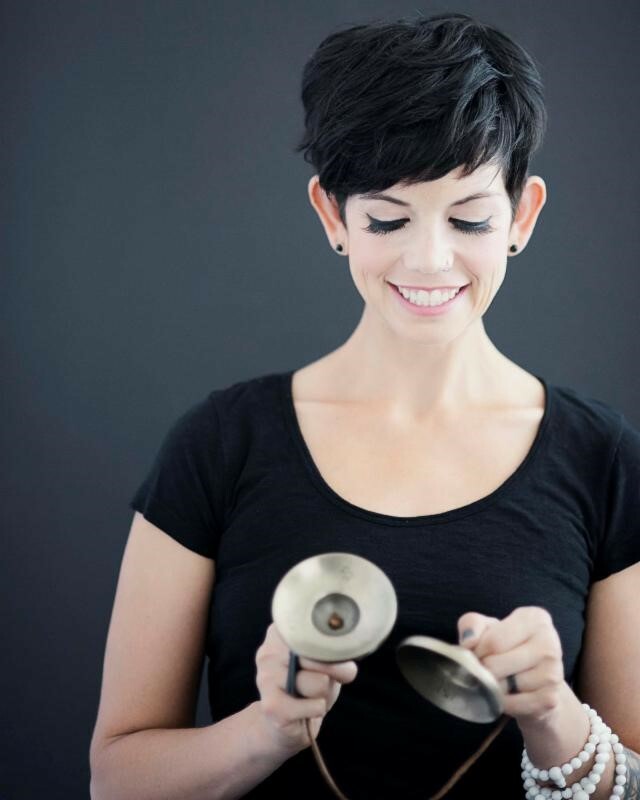 Participants will practice self-care and acceptance through a combination of yoga, sound bath, meditation, and ritual in order to strengthen their interpersonal relationships and connections to community. Proceeds from the program will benefit Hurricane Harvey relief. Recognized nationally for its artistic, modern, and emotionally stimulating approach to ancient ritual in a space built over a century ago, the Pico Union Project attracts individuals across lines that typically divide – faith and religious affiliation, age, geography, socio-economic background – who discover the power of their common bonds. Holy IN-Spiration will be facilitated by Lasker, sound bath maven El Larson, Rabbi Deborah Schuldenfrei, and musician Charlie Kramer. Funds raised will benefit Shma Koleinu, one of the synagogues in Houston devastated by Hurricane Harvey. 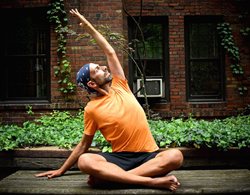 Later in September PUP will also provide creative services for Rosh Hashanah and Yom Kippur led by songwriter, community organizer, and PUP founder, Craig Taubman, and a team of spiritual and artistic leaders.